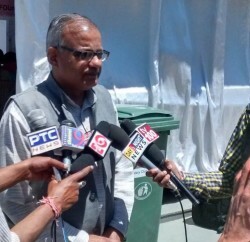 Shimla: Umang Foundation, a public welfare trust, has sought Governor Acharya Dev Vrat’s intervention to provide hostel facility for blind and deaf students who have passed class 10 and intend to continue their study in class 11 in the special school at Dhalli, Shimla. The Himachal Pradesh government has upgraded the school, being run by State Child Welfare Council, up to 12th but didn’t make arrangements for hostel. The poor students are being asked to live in P.G. accommodation. 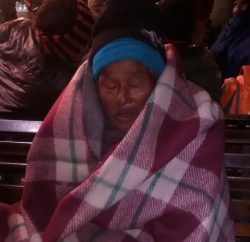 The school authorities have declined to arrange for hostel accommodation, he claimed and further added that as many as 20 students, including 19 deaf and one blind, have passed class 10 recently, but cannot afford to live in private accommodation to pursue higher education. He suggested Governor to make arrangements for senior students in the newly repaired three rooms on the campus or direct the Department of Social Justice and Empowerment to look for PG accommodation for them and make full payment of boarding and lodging. “The government is paying PG bills of boys of government Home at Tutikandi who have joined ITI on actual basis orphan. In the same manner they should provide accommodation to the blind and deaf students,” he added.